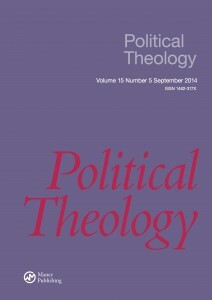 The editors of Political Theology are pleased to announce that the latest issue, 15.5, is now available on the web. Our main articles this issue concern Tariq Ramadan and Sayyid Qutb, Hans Urs von Balthasar’s critique of nationalism, Jean-Luc Nancy, Agamben, and the politics of moral patience. See the full contents below.